The Sea Pines District serves the following communities: Ocean City and all Atlantic County with the exception of Buena. Skills, techniques, information, program ideas—the know-how that makes for successful unit operation. Please make every effort to have at least one representative from your unit attend this meeting! If you have any suggestions for the roundtable please contact Terry Bell. The district committee meets the third Thursday of the month. The district committee is a group of volunteers that serves the local units within the district. The committee is broken into several sub committees which include advancement, training, activities, unit service, membership, camping, and fundraising. The district is always looking for help in any of these areas and has roles that can fit anyone's schedule and skill set. Contact Craig Barnabei if you are interested in helping out youth on the district level! The commissioner is a friend of the unit. Of all their roles, this one is the most important. It springs from the attitude, "I care, I am here to help, what can I do for you?" The commissioner is a representative. 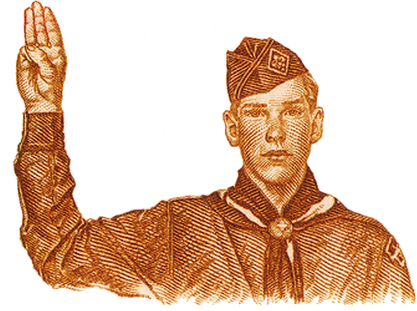 The commissioner helps represent the ideals, the principles, and the policies of the Scouting movement. The commissioner is a unit "doctor." In their role as "doctor," they try to see that their units make good "health practices" a way of life. When problems arise they act quickly. The commissioner is a teacher. As a commissioner, they will have a wonderful opportunity to participate in the growth of unit leaders by sharing knowledge with them. The commissioner is a counselor. As a Scouting counselor, they will help units solve their own problems. Everyone needs counseling from time to time, even experienced leaders. If you are interested in volunteering as a commissioner, please contact Kim Locke.